The government has asked regional cane commissioners to take action against sugar mills selling sugar below a government-mandated price, a letter seen by Reuters showed. They are under intense pressure from the central government to make those payments as failure to do so could turn the sugar farmers, a powerful voting bloc, against it in the general election in April-to-May. The world's biggest sugar consumer introduced a floor price for the sweetener last year to help the mills and the farmers. Last month it raised the minimum selling price (MSP) of sugar to Rs 3,100 per 100 kg from Rs 2,900 but despite that order several mills sold sugar below the MSP, which threatens to undermine the initiative. 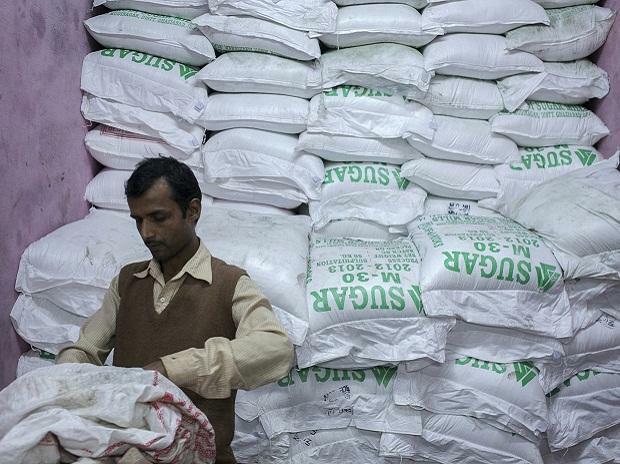 "Sugar mills of your state may be advised to strictly adhere to directives of Government regarding MSP of white/refined sugar and action may be taken for violation of Sugar Price (Control) Order," the central government's food and public distribution department said in a March 20 letter to state cane commissioners. The government has provided various sops to the ailing sugar industry in the past year but mills still owe cane farmers more than 200 billion rupees as refined sugar prices have fallen below the cost of production. "Due to the cash crunch some mills were selling sugar below MSP and piling pressure on other mills that follow the rules," said Prakash Naiknavare, managing director of NFCSF. The sugar commissioner in Maharashtra, the second-biggest sugar producer in the country, has summoned sugar mill representatives on Thursday to discuss the sale of sugar below MSP, according to industry officials. "In Thursday's meeting the sugar commissioner of Maharashtra will review how mills are subverting the law," said Sanjay Khatal, managing director, Maharashtra State Cooperative Sugar Factories Federation.